Get you 60 high PR web 2.0 Backlinks and rank higher on Google. 1. will provide full reports. 2. Penguin 3.0 & Panda Safe! 3. 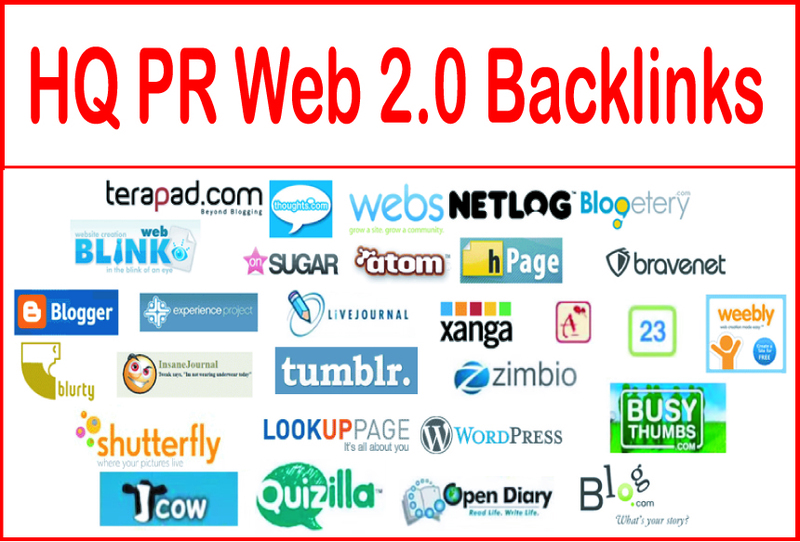 High PR web 2.0 Backlinks. Get you 60 high PR web 2.0 Backlinks is ranked 5 out of 5. Based on 173 user reviews.